Talking ADAM WEST on POP! 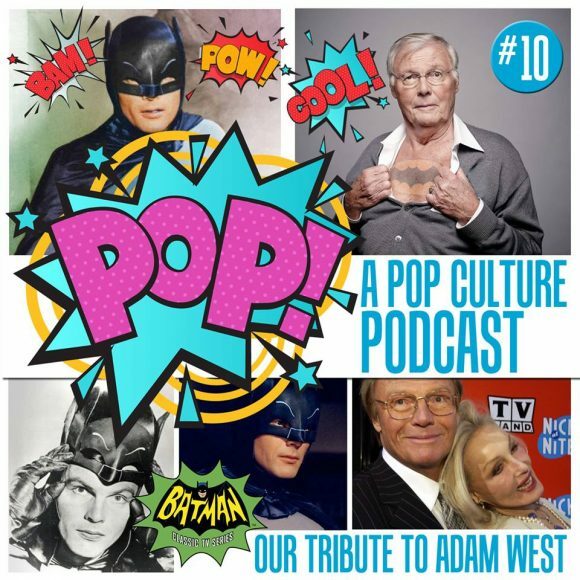 Home » BATMAN'S HOT-LINE » Talking ADAM WEST on POP! A tribute to the late, great Caped Crusader. The latest episode of Ken Mills and Courtney Cronin Dold’s POP! A Pop Culture Podcast is a salute to all things Adam West and I’m honored I was asked to be a guest. We were joined by Deep Dish Radio’s Tim Powers and we spent the better part of an hour not just talking about our own connections to the 1966 Batman TV show, but discussing West’s lasting cultural impact. Check it out here (or download it on iTunes). You’ll be glad you did, citizens.